A.D.N. Gardeners - Garden Services based in Southampton, Hampshire. Welcome to our Checkatrade page and thank you for taking the time to have a look into our details. 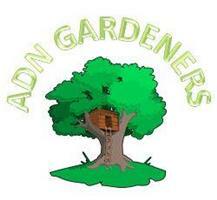 A.D.N Gardeners have been established in 2016 and we have over 6 of experience in the trade. We are a professional Gardening team, offering our skills and services at affordable prices to clients in the Southampton area. Leave worry out of the equation by working with a true professional. We would love the opportunity to show you why our exceptional service sets us apart from the rest of the field.